If you’re anything like me, you’re scouring the internet for some great stocking stuffers and Christmas presents for family and friends. Let me recommend a few things I think your friends and family would really love! A subscription to Real Plans! I would be thrilled if someone bought me a 6 month subscription to Real Plans. This website has it all! If you’re ready to eat cleaner or modify recipes to your specific taste or dietary restrictions, this is the meal planner for you. It creates shopping lists, nutrition info and so much more for you. I think you’re really going to like this one. 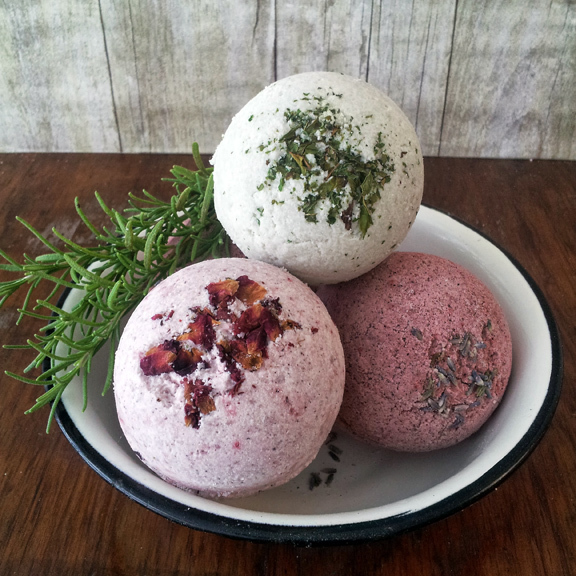 Natural Bath Bombs! Bath bombs are ever popular amongst the young folk nowadays. But your grandma is sure to love it as well. You can find bath bombs anywhere you go but get them “natural” so they aren’t loaded with chemicals and artificial stuff that will soak into your skin. 4. Activated Charcoal Mouth Wash – This mouthwash is all natural, freshens breath, and whitens teeth. It’s going to go perfectly in a stocking. 5. Nicks Sticks! This jerky is the bomb. I don’t know any man (or woman) that wouldn’t want this in their stocking (unless they’re vegetarian). 6. Grocery Bags Carrier Clips – This would make an excellent gift for anyone. Don’t we all try and get all the groceries from our car into our home, in ONE trip? Plus carry our phone, purse and water bottle? This is a Huge lifesaver! 9. Law of Attraction Planner – This has been my favorite planner. I love the size and layout. For anyone serious about goal setting, this is your planner. My only hangup is that I want a planner that rages from 4:00am-9:00pm. Everything out there is from 6:00am-10:00pm. I’ll have to invent my own one day. 10. Murray’s Pomade for hair – This is my hubby’s favorite stuff. Make sure you get the “Super Light” one. This stuff is thick and it works like a charm. 11. Oil pulling oil – An ayurvedic principle. Oil pulling is amazing for getting all the impurities out of your gums. It restores the health of your mouth. Whenever I feel my gums getting a little tender, I always do oil pulling. 12. Luxe Bidet – I got this bidet last year for xmas and it changed my life. Enough said! 13. Book “Feelings buried alive never die” – It changed my life in so many ways. I love that it has a mental aspect and health aspect to it. Anytime I am suffering with some ailment, I go to this book and it tells me what my pain is linked to. It’s a feeling or mental thing that needs cleared up before the pain can go away. I love this book. 15. A subscription to “Cooks” magazine – The most amazing yummy recipes you’ll ever try. A must for any chef in the family. 17. If you don’t have a good blender yet, splurge and get a Vitamix – Use nothing else! This is the one and only blender you’ll ever need. 18. And you just can’t go wrong with Cast Iron EVERYTHING. The only pots, pans, and cookie sheets I ever use, are cast iron. If we’re talking, non-stick, durable and cooks evenly, then cast iron is the only way to go. You can get the fancy enameled ones but they’re expensive. I just use regular old cast iron. I am extremely happy with the way my food turns out every time. 19. A weighted blanket – My mother in law just sent my family a weighted blanket for Christmas, and everyone in the family is fighting over it. We all love it so much. 20. The “Calm” app for your phone. This has changed my outlook on life dramatically. This app has it all. Daily guided meditations, sleep stories to help you fall asleep, music for relaxation and/or focus, mastermind classes for motivation and inspiration. I honestly can’t imagine my life without it now. I use it daily. These are my top 20 must have’s for Christmas. I hope I gave you some great ideas for this year. If you want even MORE ideas, head over to www.wellnessmama.com for some great ideas for any occasion! What’s your favorite wellness gift? Post in the comments below.